Bought by Philip Ingold in 1968, this 1958 Velocette Venom has been restored by Philip’s son Simon as a fitting memorial to his late father. On what most likely would have been a chilly winter’s day, February 17, 1968, a young man named Philip Ingold walked along Acton High Street, West London, and went into the sprawling new and used car and motorcycle emporium that was Whitby’s of Acton. Simon Ingold passed his test specifically so he could ride the Velo. Being a 17-year-old apprentice at the nearby Hoover factory on the Perivale Road, Philip knew he wanted to buy a motorcycle, and it couldn’t be any motorcycle, but one an aspiring engineer could appreciate. He then handed over the balance of £38 and 10 shillings to the salesman, Mr Hanney, having already left a £1 deposit, and then left, riding one used 1958 Velocette Venom. 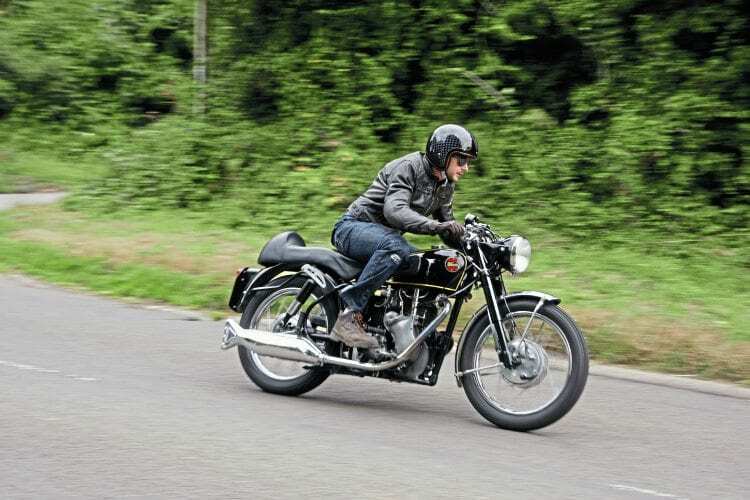 To Philip, the big single was perfect – 500cc, a bit quirky, and definitely more exceptional than the common BSAs and others he’d regularly see at local haunt the Ace Café. Like any other motorcycle-mad teenager, and especially as an apprentice engineer, Philip felt compelled to modify his bike and make it his, and this he did in his subsequent many years of ownership and enjoyment of the Velocette. Sadly, Philip Ingold died in 2004 from the complications of the MS he’d been diagnosed with in 1988, so he can’t tell us in person about the Venom that was so precious to him. But from the day he bought it, the Venom has been the backdrop to a 50-year-old story of family life, tragedy, persistence, love and patience – and wonderfully so. It continues to take centre stage, as it remains in the Ingold family, with Philip’s son Simon Ingold. Previous Post:Camping trip: How to do a motorcycle tour before the First World War.